Since time immemorial Aboriginal people have managed, cultivated and cared for the landscape where Sydney was established and continues to grow. Aboriginal people hold profound knowledge, understanding, obligation and custodianship of the landscape, often expressed as Connection to Country. Country is multi-dimensional, consisting of people, animals and plants, reaching into the sky, covering all the land and sea, and extending underground. Connection to Country is deeply personal and familial, connecting Aboriginal people to everything, and to each other in unity. Expressed through stories, song, dance, hunting, fishing and gathering, as well as traditional Aboriginal Welcome to Country protocols, Connection to Country is embedded and alive in the many layers and history of the Greater Sydney landscape. Aboriginal understanding and respect of the landscape is akin to the aims and objectives of A Metropolis of Three Cities to ensure planning and land use of the Greater Sydney Region is respectful, equitable and sustainable. The three cities – the Eastern Harbour City, the Central River City and the Western Parkland City – reflect the Aboriginal relationship with these lands, years beyond recorded time as ‘saltwater country’, ‘muddy river country’ and ‘running water country’ respectively. Greater Sydney holds a special place in Australia’s history because it is where the first major point of contact occurred between European and Aboriginal people. However, during the making of the city post 1788, the multi-dimensional nature of Country has never been deeply considered, reconciled or remembered. For example, many contemporary roads and public parks rest upon ancient traditional Aboriginal tracks and camping grounds. The future design and development of Greater Sydney including the naming of streets, roads, parks and suburbs will draw from the richness Aboriginal culture and custodianship of the land can offer for the whole community and environment. Meeting ancient Aboriginal knowledge and relationship with the Greater Sydney landscape, together with the contemporary land use and planning aims of A Metropolis of Three Cities will ignite a positive shared future for all of Greater Sydney’s people and its stunning environment. Greater Sydney has the largest gathering of Aboriginal people in Australia with many families originating from homelands in wider NSW and throughout the nation. The Australian Bureau of Statistics 2016 estimates that 57,000 Aboriginal people live in Greater Sydney, representing approximately nine per cent of the national Aboriginal population. Aboriginal Land Councils, constituted under the Aboriginal Land Rights Act 1983, are major landowners in most local government areas, empowered and resourced to achieve the social, cultural and economic aspirations of Aboriginal people through those and holdings. 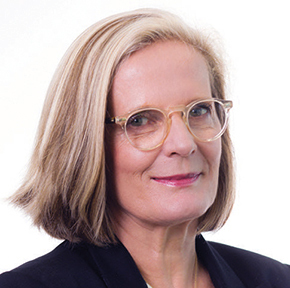 As corporate citizens and unique players within the Greater Sydney economy they should be afforded the same opportunity to develop their sites as other landholders. Furthermore, when approved by consent authorities, Aboriginal Land Councils use their lands to great benefit for housing, community and cultural purposes, commerce and enterprise, increasing prosperity and social inclusion for Greater Sydney’s Aboriginal communities. It has taken 230 years for a shared understanding of Greater Sydney’s landscape to emerge. This shared vision will draw on both spirit and nature to guide respect, reconciliation and recognition, bringing the depth of Aboriginal culture and custodianship to the fore in the future planning of Greater Sydney. Greater Sydney is Australia’s economic powerhouse. Its continued success is vital to drive the NSW and national economies, secure a good quality of life for all our citizens, and hand down even greater opportunities to the next generation. A Metropolis of Three Cities is a bold vision for three, integrated and connected cities that will rebalance Greater Sydney – placing housing, jobs, infrastructure and services within easier reach of more residents, no matter where they live. It is a plan for delivery that will see the benefits of growth shared across all parts of Greater Sydney and ensure that Greater Sydney is one of the best places in the world to live, work and raise a family. It will boost productivity by bringing together good jobs and skilled workers; make our suburbs more liveable by preserving heritage and local character as part of the growth process; and make our cities more sustainable by protecting our natural environment and open spaces. The Greater Sydney Region Plan will be delivered through strong and effective collaboration. This approach is evident in partnerships like the Western Sydney City Deal, where the Australian, the NSW and local governments have come together to create our third city – the Western City – with the Western Sydney aerotropolis at its heart. Collaboration is also at the heart of the Greater Sydney Commission’s Growth Infrastructure Compacts, which assess growth scenarios in line with infrastructure delivery. As my government delivers record investments in infrastructure to shape the future of NSW for generations to come, the time is right to transform Greater Sydney. A Metropolis of Three Cities provides communities, councils, governments, and industry with certainty and guides the much-needed investments in transport, infrastructure, services and affordable housing required as Greater Sydney grows. I am proud to present the community with A Metropolis of Three Cities – and look forward to working with you to make it a reality. 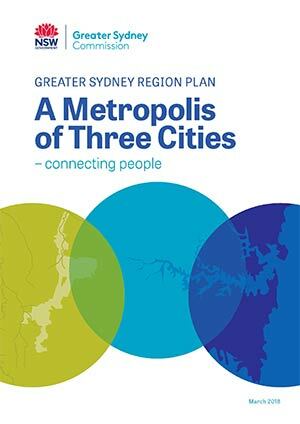 A Metropolis of Three Cities, the first regional plan developed by the Greater Sydney Commission, presents a vision and innovative actions for managing Greater Sydney’s growth and enhancing its status as one of the most liveable global cities. 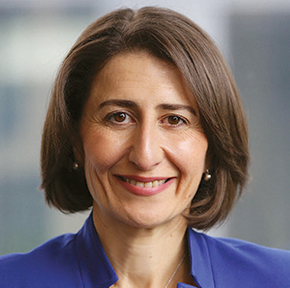 It also is the first to be prepared concurrently with Future Transport 2056 and the State Infrastructure Strategy, aligning land use, transport and infrastructure planning to reshape Greater Sydney as three unique but connected cities. With the people of Greater Sydney at its heart, A Metropolis of Three Cities, this plan aspires to a 30-minute city, where jobs, services, and quality public spaces are in easy reach of people’s homes. It sets targets for new housing, with a range of types, tenures and price points to improve affordability. New jobs will be promoted and the plan values Greater Sydney’s unique landscape, natural resources and green infrastructure. The implementation of A Metropolis of Three Cities will share equitably the benefits of growth across the Greater Sydney Region. I have been inspired by the thousands of individuals, community and interest groups, government agencies and councils, academics, businesses and industry groups who have collaborated with the Greater Sydney Commission on A Metropolis of Three Cities. On behalf of the Commission, thank you for your time and expertise. I would also like to extend my thanks to my fellow Commissioners, in particular the Deputy Chief Commissioner Geoff Roberts, and the executive team and staff of the Greater Sydney Commission, led by our Chief Executive, Sarah Hill.